One of the best things about summer, and just about anytime when the weather is nice, is letting the kids play in the water. Everyone has a great time, and it’s rewarding to see the kids with smiles on their faces. But what if you could step it up a notch and build the ultimate waterpark for the kids and their friends in just a few minutes, and with stuff you probably already have lying around? Let’s step this thing up! 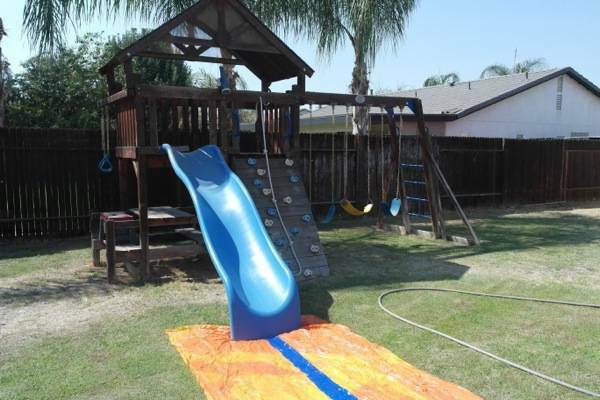 First, there is just one pre-requisite for this How-to, you must have a backyard playset; oh and I guess a backyard is important too, but that would make two pre-requisites. 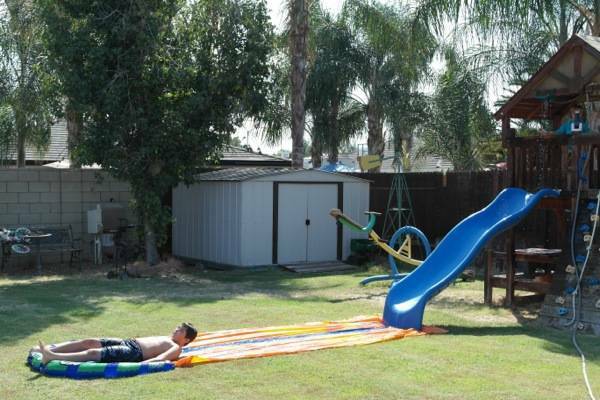 Most playsets with a slide should do the trick. 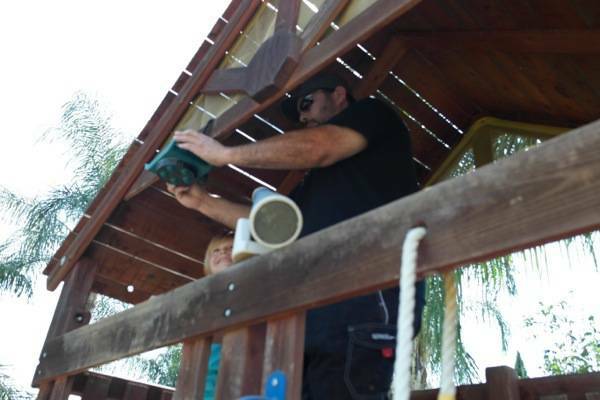 In this example we are using a wooden playset with a slide. Here is the list of things you will need. 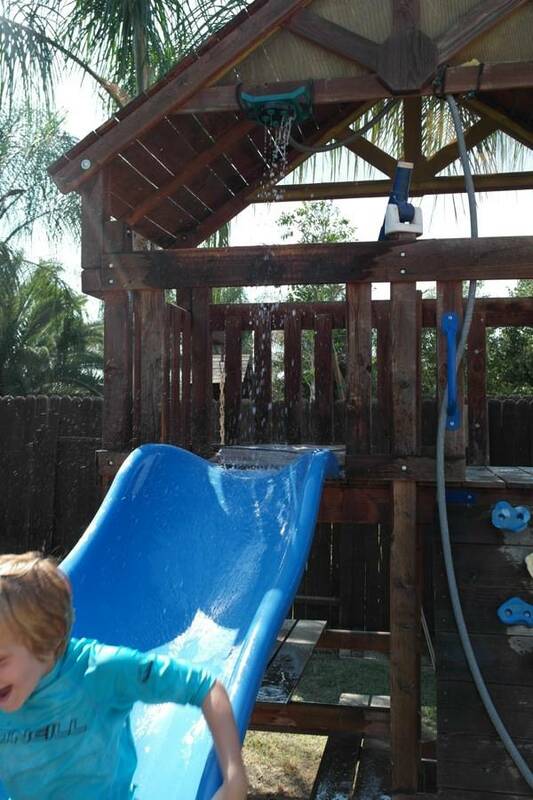 Step 2 – Attach Sprinkler with 1ea Bungee cord, to post above slide. 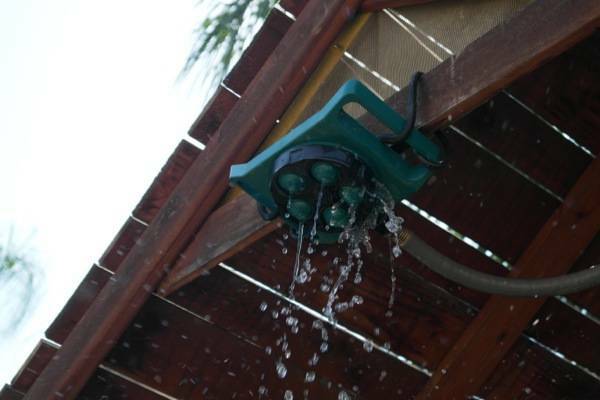 Make sure top of sprinkler is facing down and sprinkler is secure. 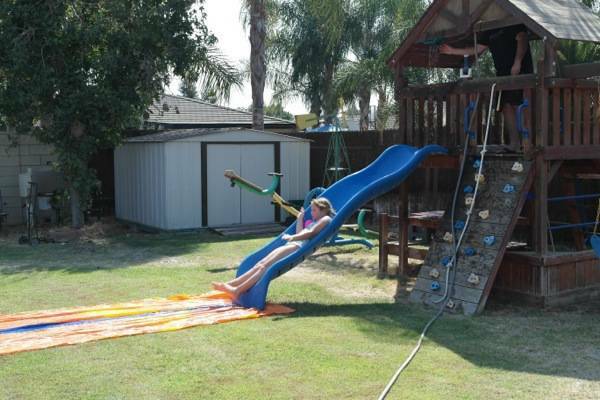 Step 3 – Next run hose to playset and attach to sprinkler. Step 4 – attach second bungee to hose and another post to keep hose in place and to keep it from moving. Step 5 – Turn faucet to hose on low and adjust sprinkler dial just between two settings, this provides a random and steady trickle of water. 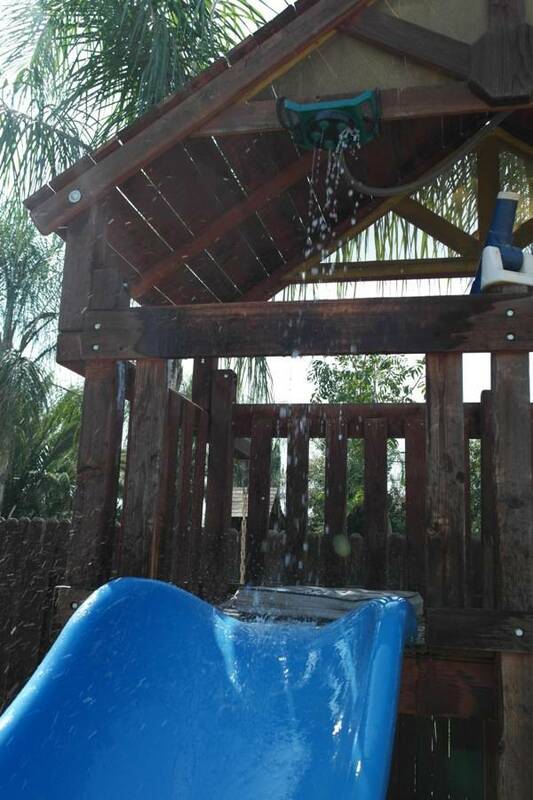 Lastly, adjust sprinkler position by hand so water flows steadily and efficiently down slide. 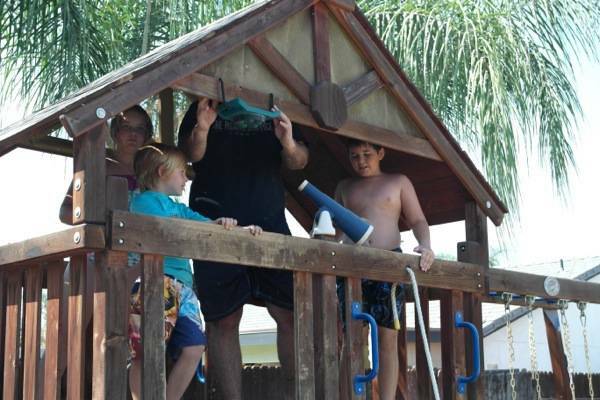 The kids have a blast every time we make our own waterpark! The best part is, it takes only ten to fifteen minutes to install. 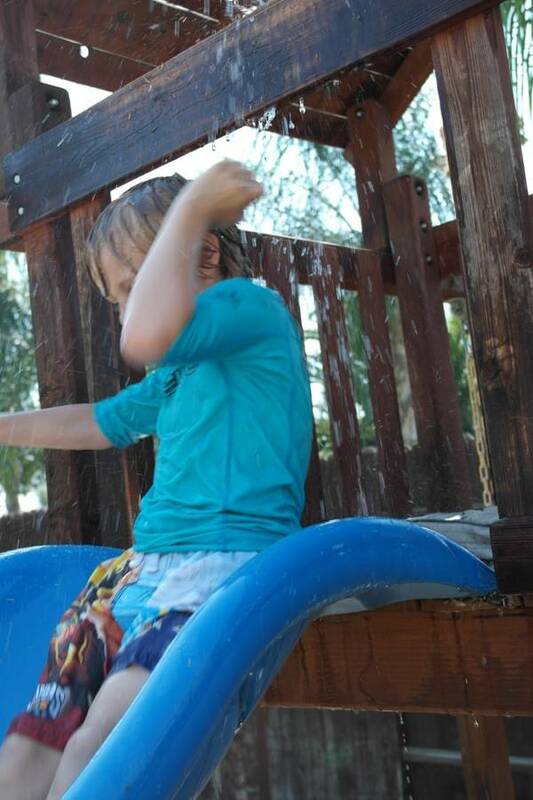 Our kids have so much fun with the backyard water park. 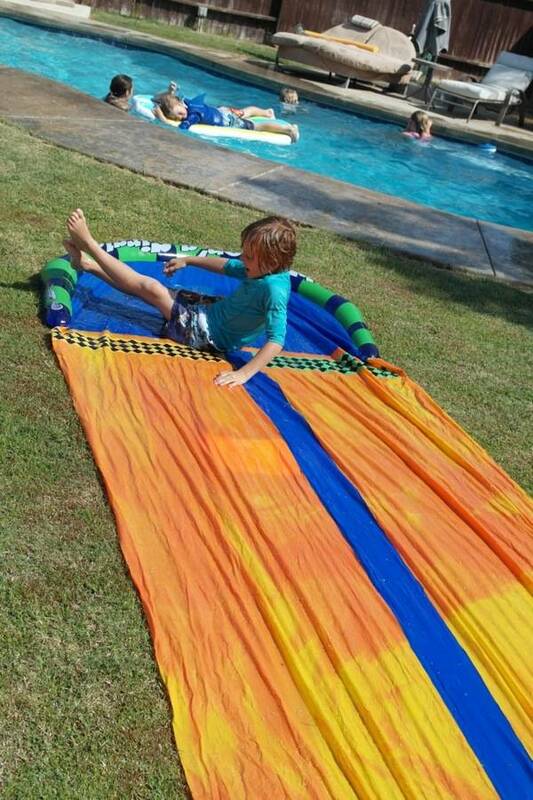 In fact, I love that Sammy prefers it over the pool – ha ha! 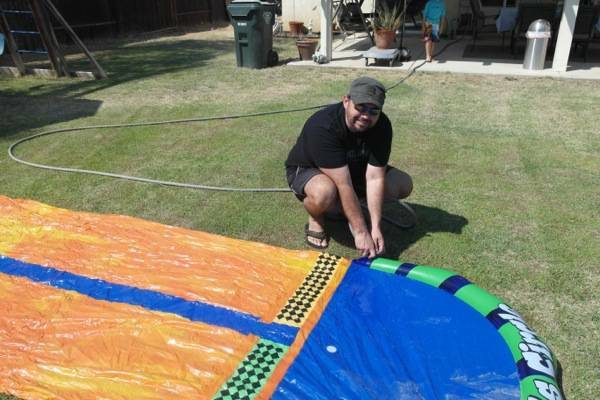 This is a great tutorial on how to build your own backyard waterpark! 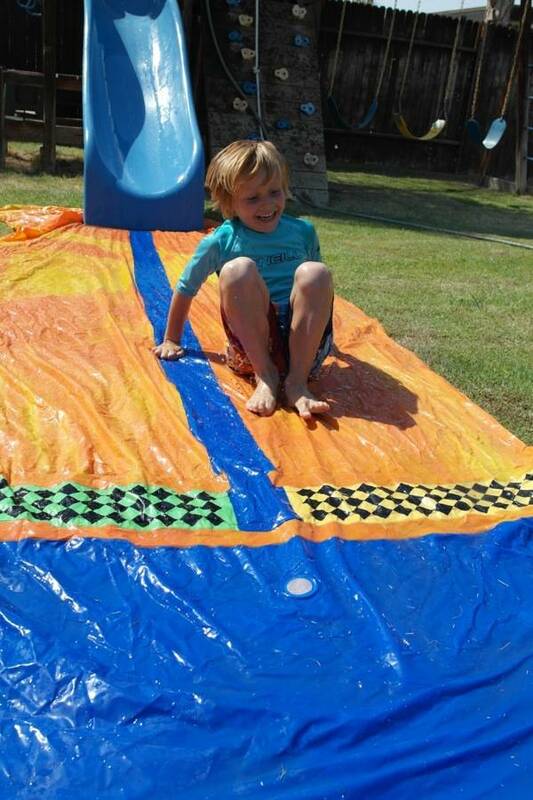 This looks like sooo much fun! We are going to test it out on our fort today! Thanks!! Awesome! 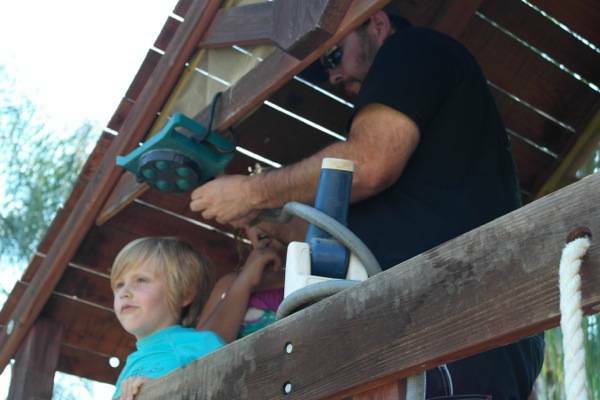 It really is super easy and the kids love it! I didn’t know it was that easy to set up.